Let’s put it [this] way: We’ll never get to the point where formula will be even close to human milk. We’ve got a lot of great science that’s taking place, but it isn’t moving its way out into the larger world. What’s going on here? It is 2018. Scientists sent a man to the moon half a century ago, they mapped the human genome more than a decade ago, and yet we still have scant scientific understanding about breast milk -- the lifeblood that has sustained humankind for at least the past 7 million years. All of that is about to change, if my guests today have their way. 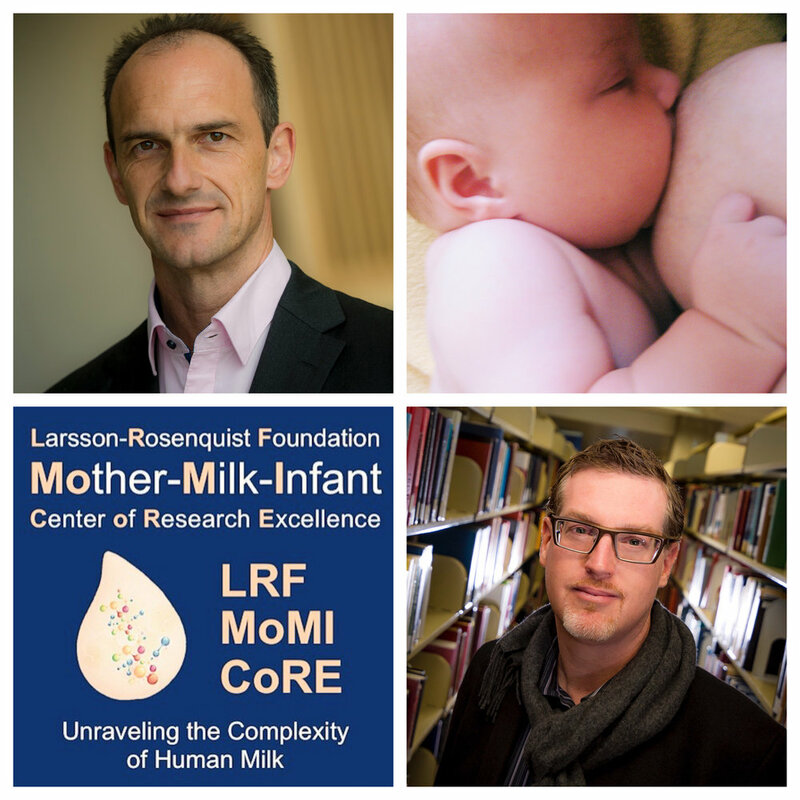 Meet Lars Bode and Alan Daly, two of the scientist powerhouses behind the newly launched Larsson-Rosenquist Foundation Mother-Milk-Infant Center of Research Excellence (LRF MoMI CoRE) at the University of California, San Diego—one of the first research centers in the world focused on unraveling the mystery of human milk. Lars, who serves as director of the new center, is a noted human milk researcher who is also the president of the International Society for Research in Human Milk and Lactation and an associate professor of pediatrics in UCSD's Division of Neonatology and Division of Gastroenterology and Nutrition. (Some of you may recognize his name from my book, Unlatched, in which I visited his laboratory at UCSD and delved into his groundbreaking research on human milk oligosaccharides and the microbiome.) Alan, who serves on the scientific advisory board of MoMI CoRE, comes to human milk research from the social science side: He is the chair and professor of the Department of Education studies at UCSD, as well as executive editor of the journal Educational Neuroscience. In short, these two guys are rockstars of the academic world (with the global travel schedules to match), and I was so thrilled to finally get the opportunity to sit down with them and talk about The Milk Moonshot, as we dubbed it; find out the full story of why breast milk is not a food, but a human tissue; and get two male scientists to weigh in on the "mommy wars." You won't want to miss this one! You can read more about MoMI CoRE and the mission to unravel the complexity of human milk at milk.ucsd.edu. Want to get involved in the effort? Click here.